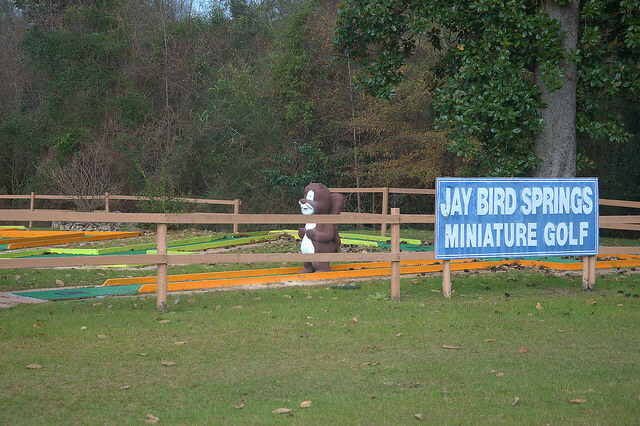 Jay Bird Springs has been a well-known recreation area since about 1907, when Georgia’s first public swimming pool was built utilizing the waters of a natural spring emanating in the adjacent Gum Swamp (Little Ocmulgee River). The water is thought to have healing qualities and has had thousands of devotees over the past century. It was so famous that it was delivered to homes and businesses throughout the region in the earliest years of the operation. 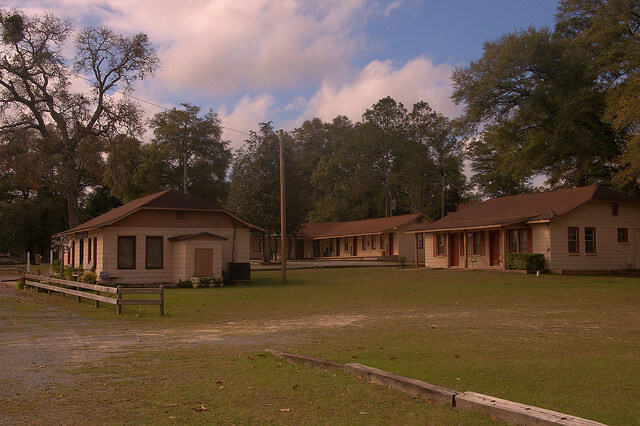 The motel and welcome center seen above and the miniature golf course below are all I was able to photograph, as the facility is now a spiritually-based rehabilitation center and the residents were conducting Sunday services near the pool area. Even though the gentleman I spoke to said I could take a few quick shots, I declined out of respect. I do hope to get back at some time and get a few more shots.